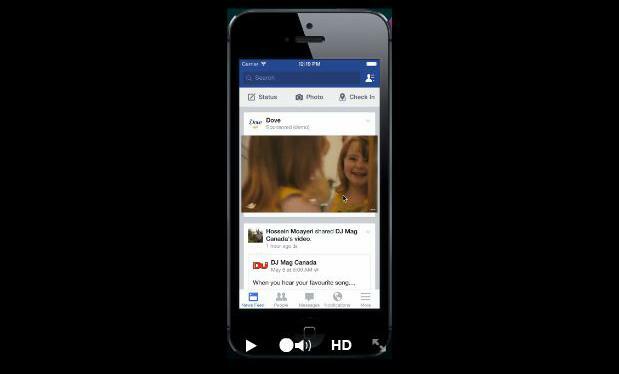 Facebook has announced the global availability of its Premium Video Ads and supporting video metrics for advertisers across the social media site. The Premium Video Ads offering was first trialled in the US in March and is now being launched with a limited group of advertisers in several countries including Australia. The 15-second video ads will start playing without sound as they appear on the screen and stop if people scroll past. If users tap on the videos, the clips will expand into a full-screen view with sound. Facebook said the ads can be bought and measured in a similar way to how advertisers already buy and measure ads on TV. The company said it is rolling out the ads slowly to gauge how consumers interact with them over coming months. Facebook has also rolled out Video Metrics in its Page Insights and Ads Reporting services for all videos uploaded to the site, providing advertisers with a range of measurements including video views (of three seconds or longer), unique video views, average duration of the video view and audience retention. The metrics will be available on all paid and organic videos uploaded directly to Facebook pages.